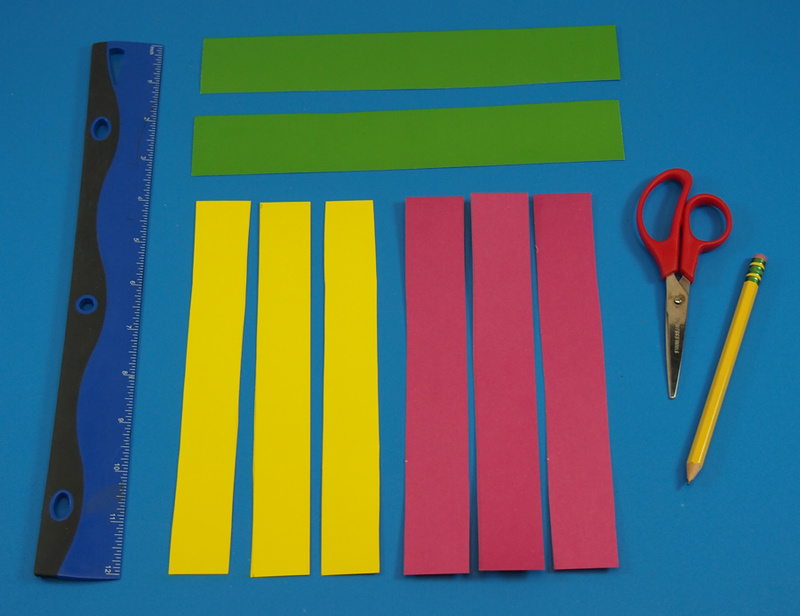 Learning Objectives: Practice scissor skills while cutting paper strips. 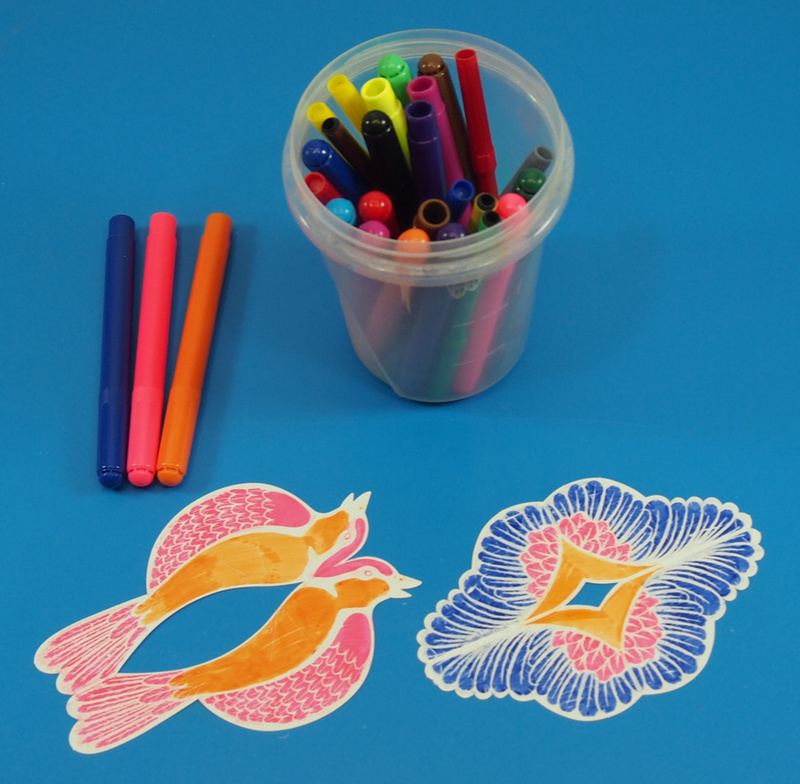 Exercise fine motor skills through continuous coloring motions. Observe amazing changes in the appearance of artwork through special color reveal technology. 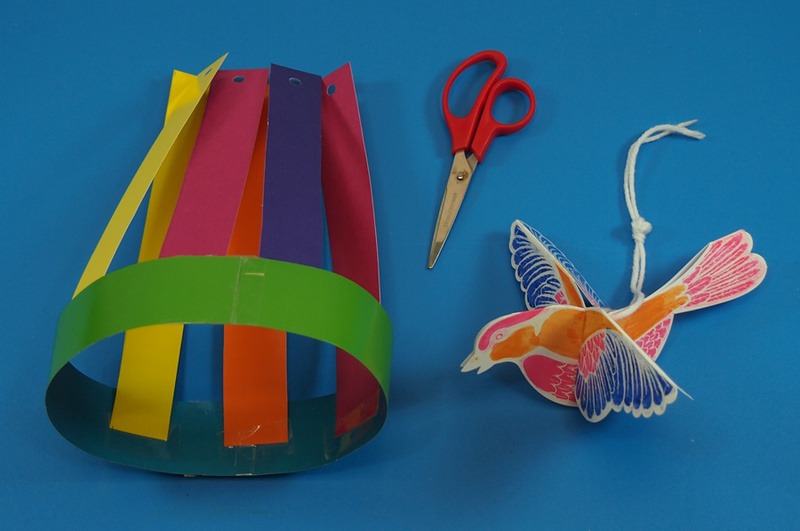 The best part about making this birdcage is that you already have the main centerpiece–the bird–made up from the Color Reveal Bird project, so you don’t have to spend extra time looking for and cutting out templates to color in. 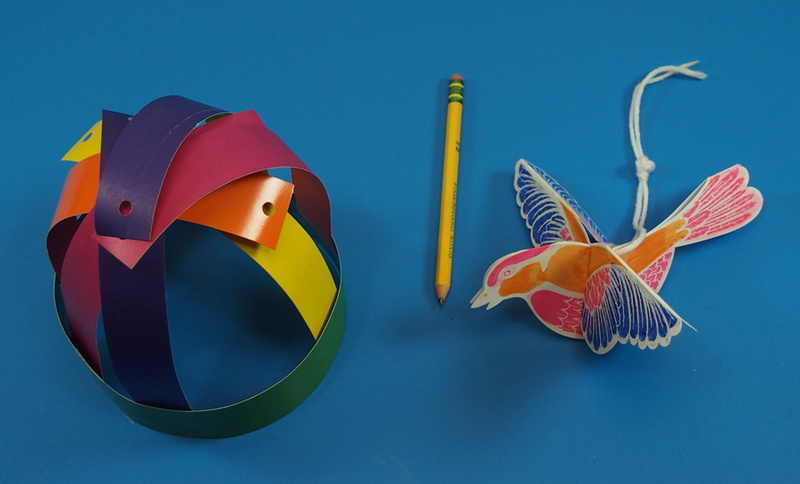 Simply color in and wrap up in a colorful birdcage! 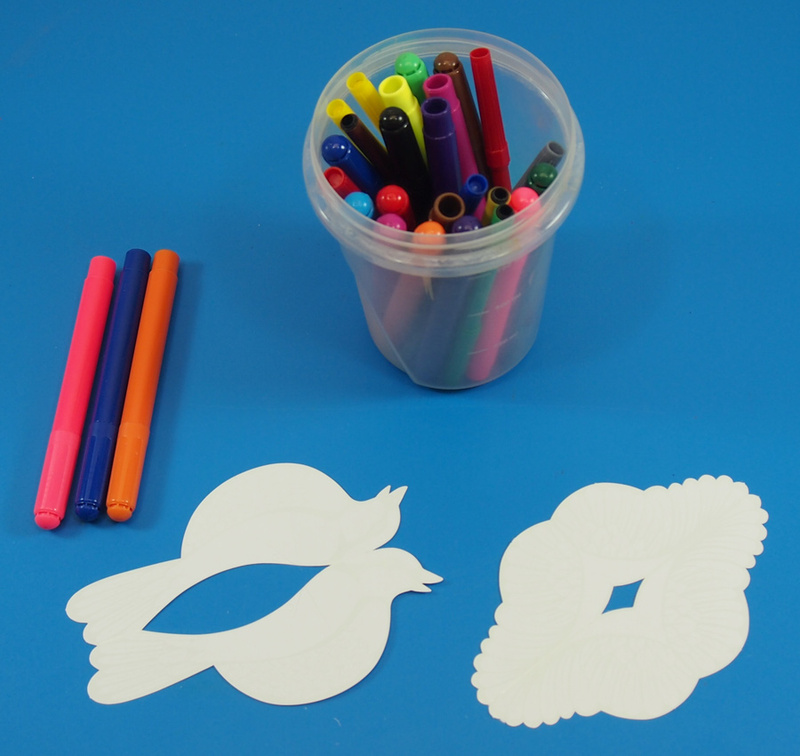 In case you missed the earlier Craft Spotlight post, I’m going to show you just how to put together your Color Reveal Bird first. 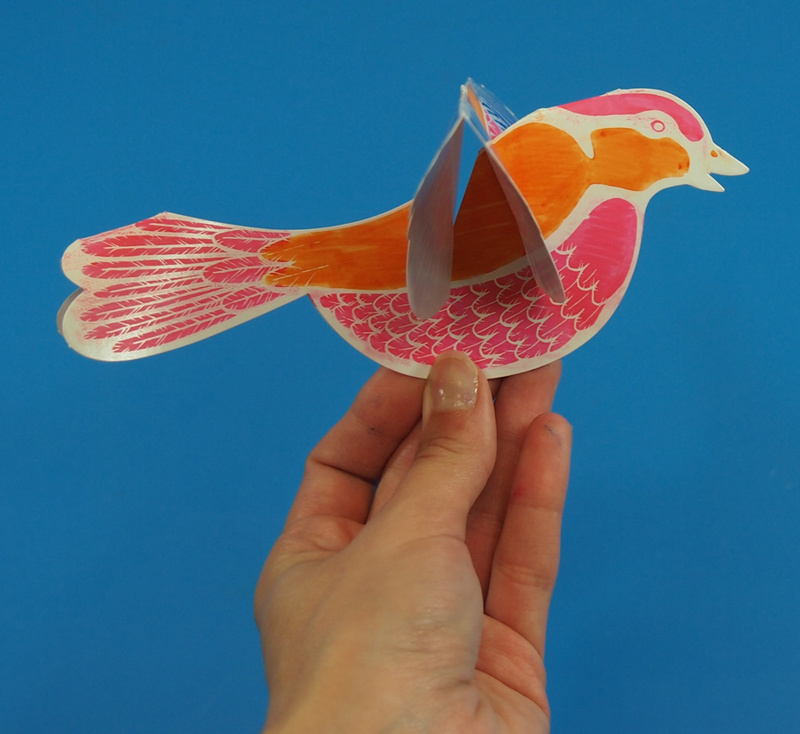 When you rub the marker across the surface of the bird body and wings, you’ll start to see a beautiful design appear! Once you have both pieces fully colored in, you can start to assemble them. For this step, you will need a pair of scissors. 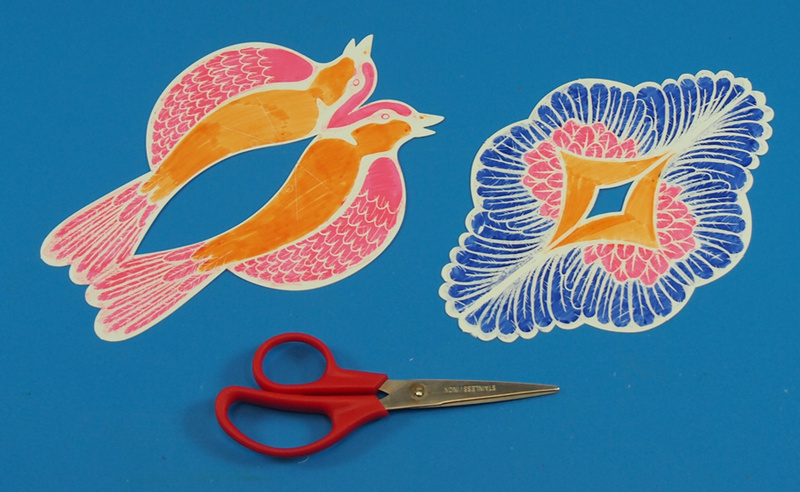 First, let’s fold the bird body and wings in half. Both pieces are scored along the middle so folding should be easy! There are two triangle shaped slots on the bird’s back. The wings fit right into those slots, but you will need to loosen up the opening. Take your scissors and fit them right along the slot opening. 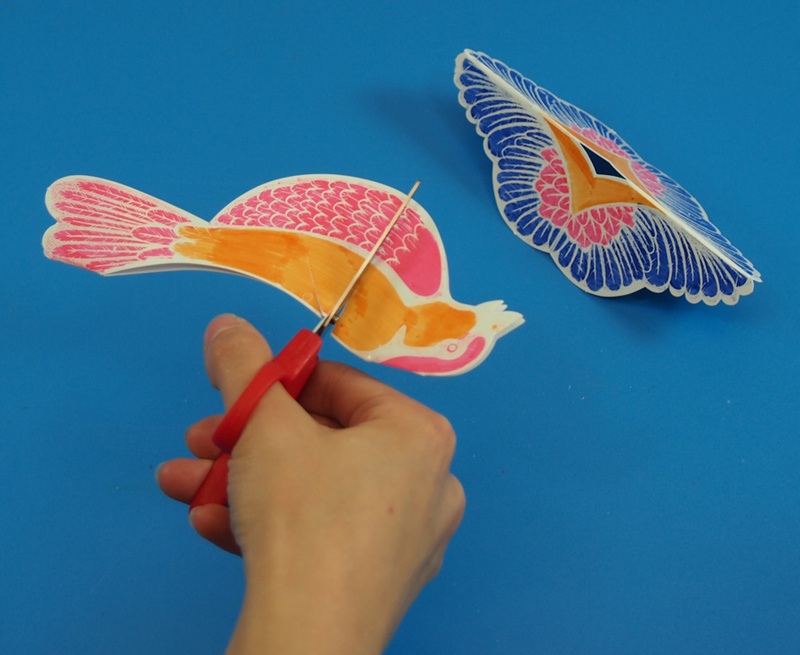 Cut into the bird body at about an 1/8″ of the way down. The wings fit directly onto the triangle slot. Turn the wings sideways as you slide them into the slot. Push the front of the wings into the forward slot, and the back of the wings into the rear slot. 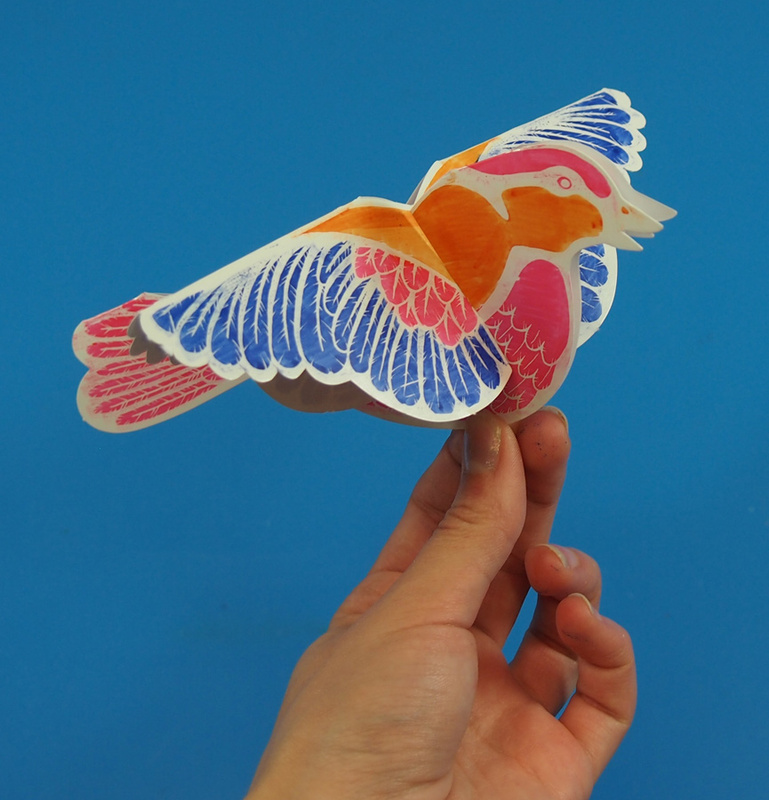 Here’s a front view of the Color Reveal Bird. It’s ready to fly off! Now we will make the birdcage itself. 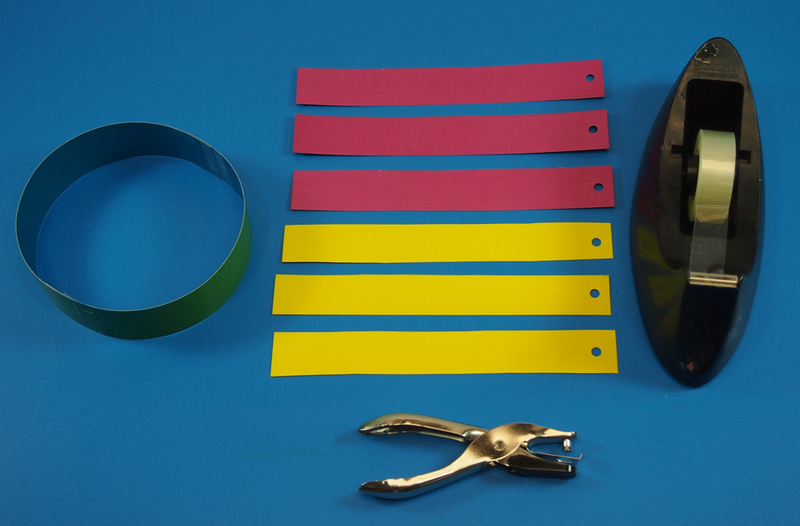 Grab your materials and pick out colors for the decorative cage. 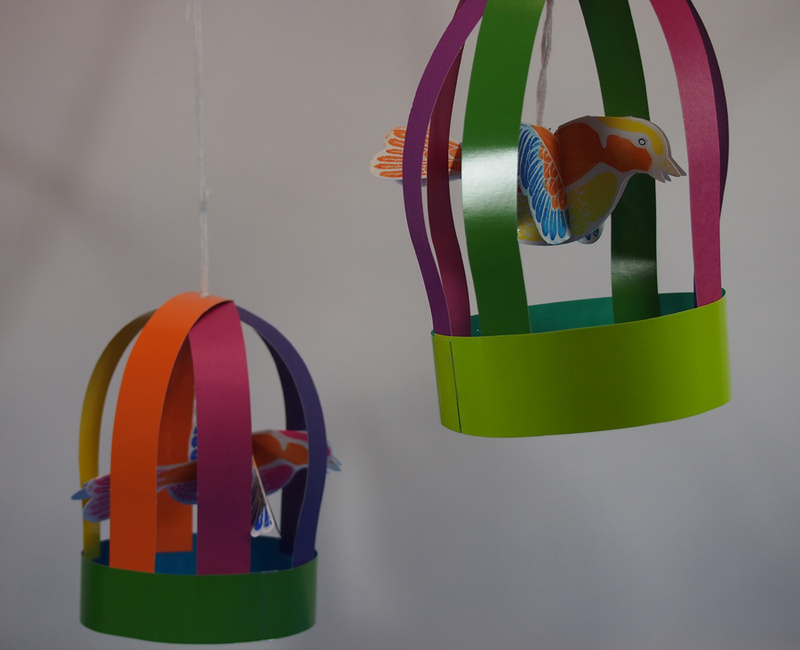 The Double Color Cards are double-sided so the bars for the birdcage will show off a variety of colors. 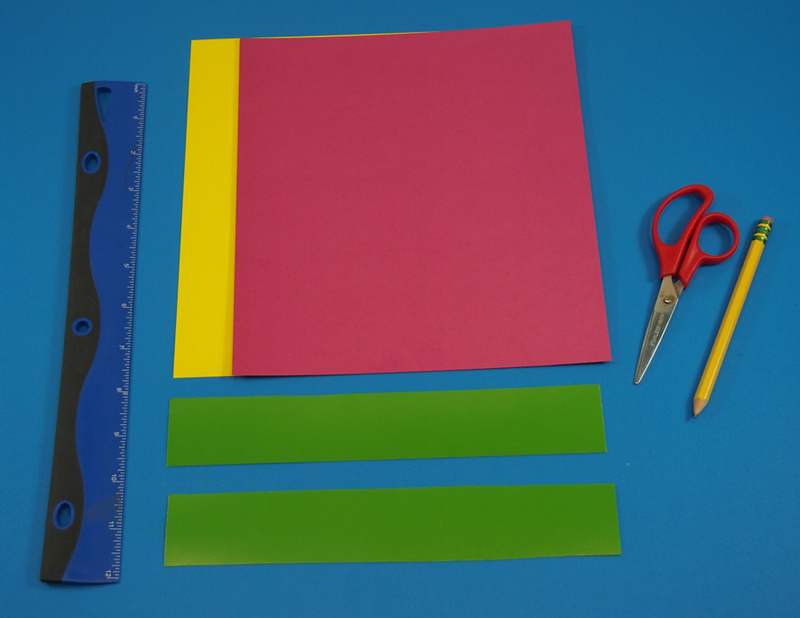 Cut out two 1 1/2″ (4 cm) thick strips along the long side. These will form the base of the birdcage. 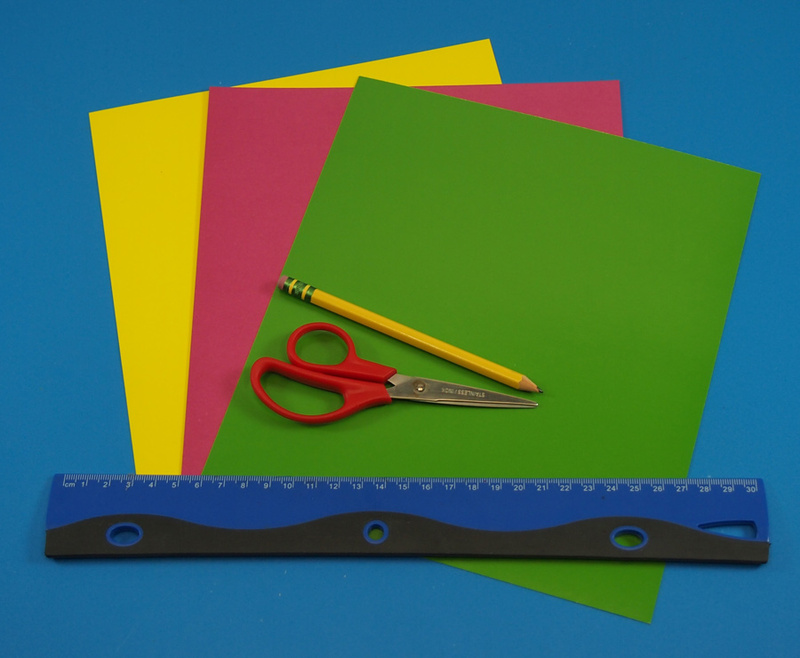 From the rest of the Double Color Card sheets, cut strips along the long side that are 1″ wide (2.5 cm). These will form the bars for the birdcage. 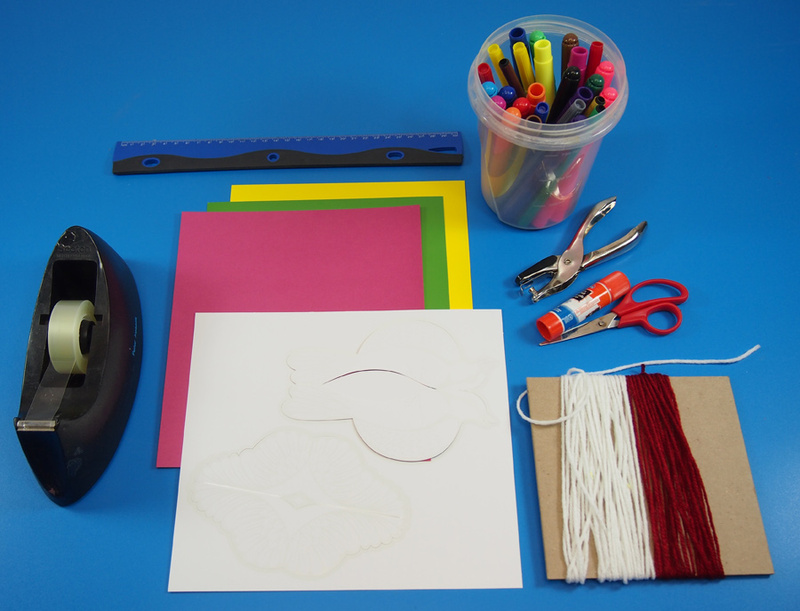 Take the two larger 1 1/2″ strips and join the ends together with tape. This will form a round base. 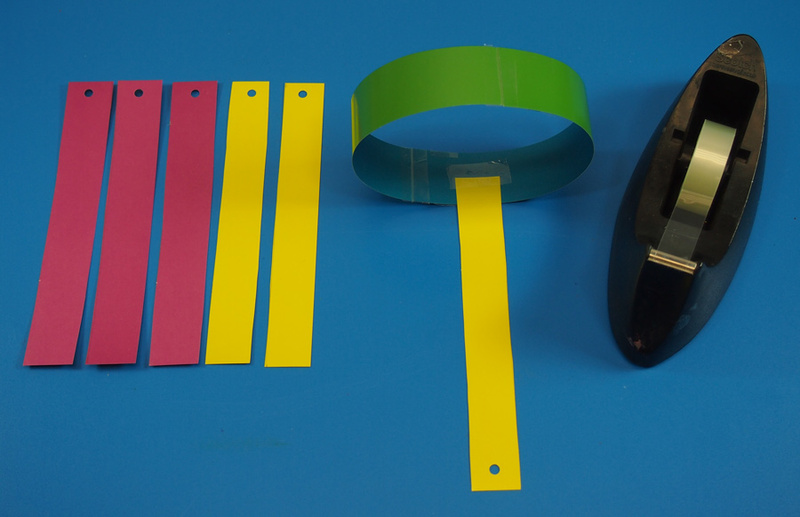 Hole punch each of the smaller 1″ strips at the top. These holes will help you to hang up the birdcage as well as the Color Reveal Bird inside. Now we are ready to assemble the birdcage! 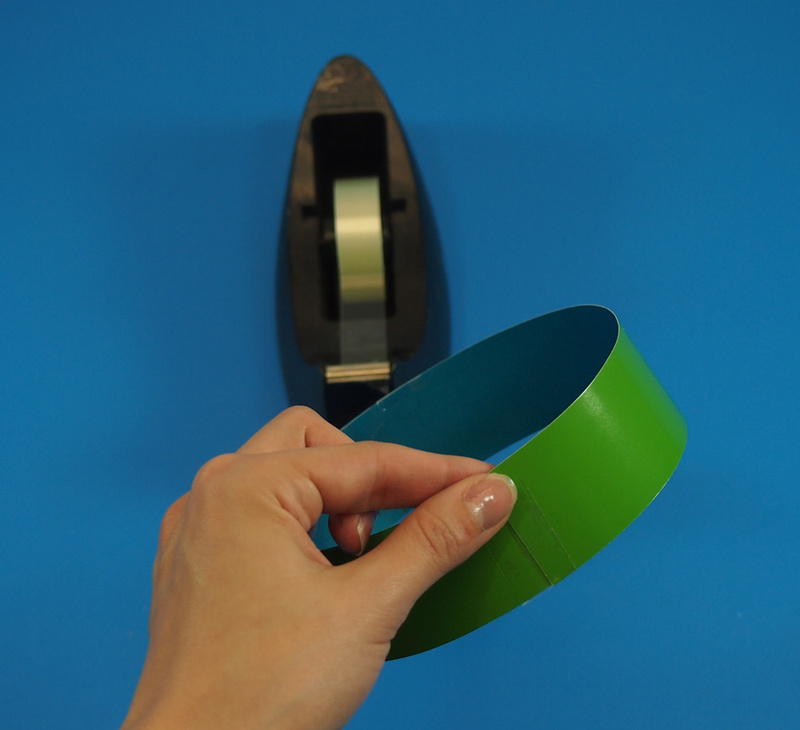 Tape the 1″ strips onto the birdcage base at the end opposite from the hole-punched end. Tape the end close to the top edge of the birdcage base for a longer set of bars, or closer to the bottom edge for a shorter set of bars. 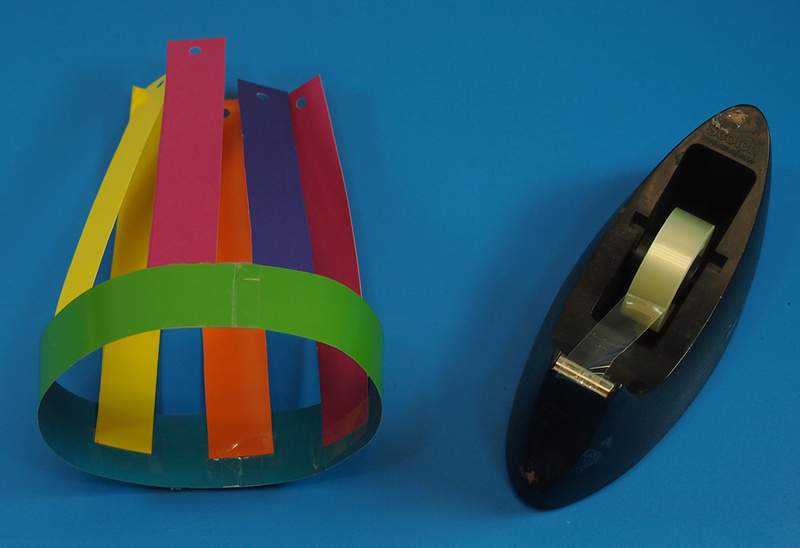 Repeat for the rest of the 1″ strips until you get something that looks like a funky hat! 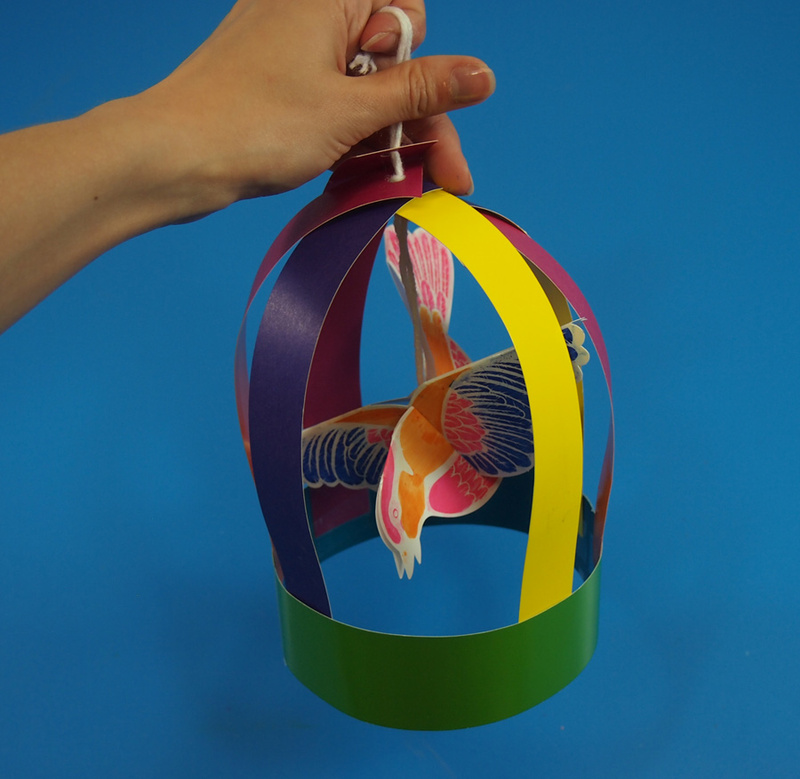 Set your birdcage aside until you have the Color Reveal Bird strung up. Cut a fair sized amount of yarn that will be used to hang the bird and hang the birdcage. There is a small hole at the top of the bird’s back. Thread the string through and secure the yarn with a large-sized knot. 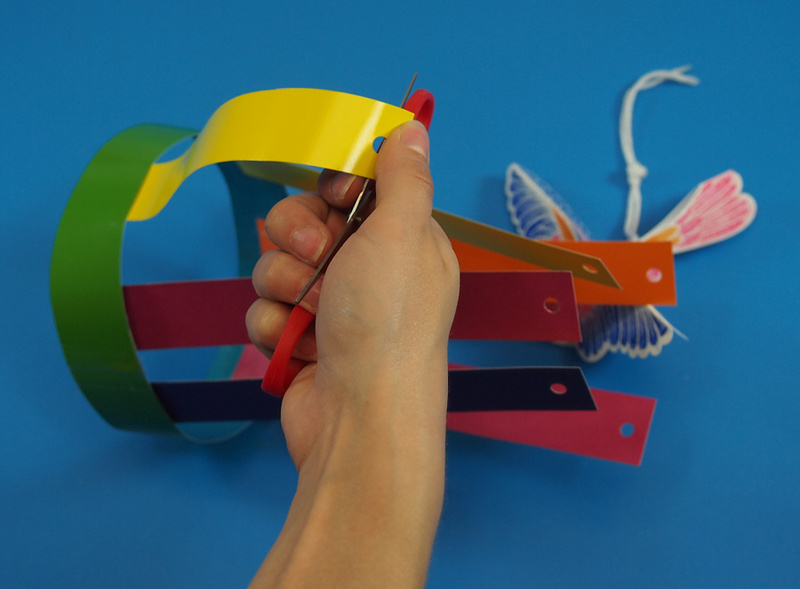 In order to make the birdcage appear more rounded, you will need to use the blunt end of a pair of scissors or a pencil to gently curl the birdcage bars. The bars should curl over and onto one another. This will help make stringing easier. 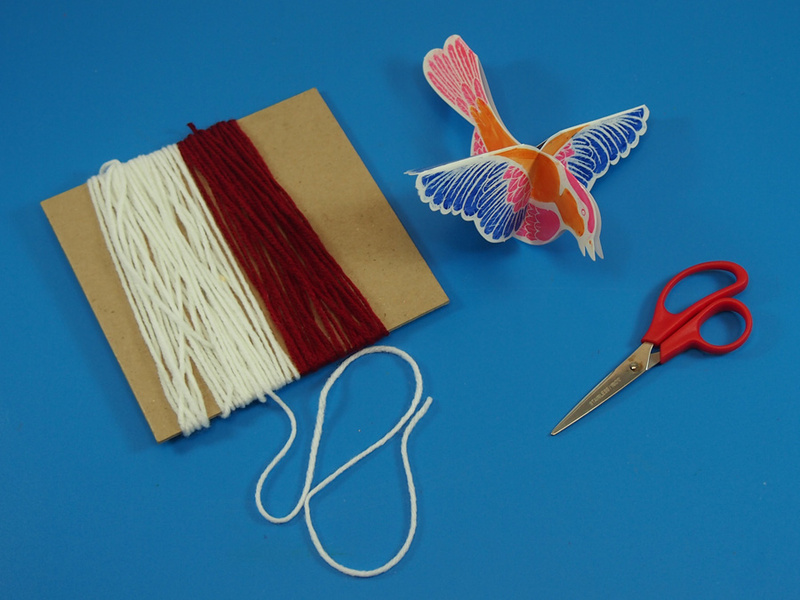 Thread the ends of the yarn from the Color Reveal Bird through the holes in the paper strips. The knot you made should stop the bird from passing up too close to the top of the birdcage. Like so! You can make another knot at the top of the birdcage to hold all the strips in place, or simply knot the two ends together and hang from a desired location! Here’s what a few of our birdcage projects turned out to look like! Notice how vibrant the colors are. This will look beautiful hung from the ceiling in a children’s bedroom or outside in the garden! 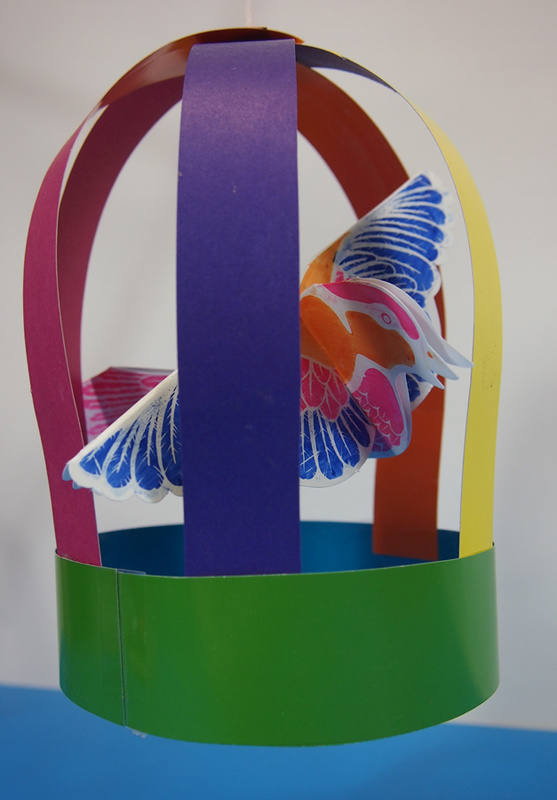 This entry was posted in Crafts and tagged art, birdcage, color reveal bird, crafts, crafts for kids, double color card sheets, kids, summer, summer activities by roylcoblog. Bookmark the permalink. Another great craft! I love how the double color cards look in this craft. And the bird is so pretty! Thanks so much for stopping by and sharing at this week’s Thoughtful Spot! I love all your ideas, so creative. I’d love this in a pale minty green or pink. They would make such an adorable nursery decoration.